In January 2017, more than 3 million women around the world marched, demanding their voices be heard and their rights defended. 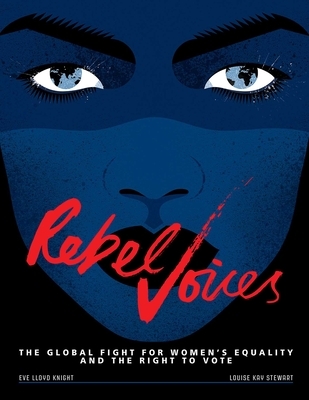 Rebel Voices is a book about historical events, but truly for our times. It features the brave campaigners who fought for women's right to vote. Discover that it was never illegal for women to vote in Ecuador, or how 40,000 Russian women marched through St. Petersburg demanding their rights. Find out how one Canadian woman changed opinions with a play, and Kuwaiti women protested via text message. And learn that women climbed mountains, walked a lion through the streets of Paris, and starved themselves, all in the name of having a voice. Tracing its history from New Zealand at the end of.